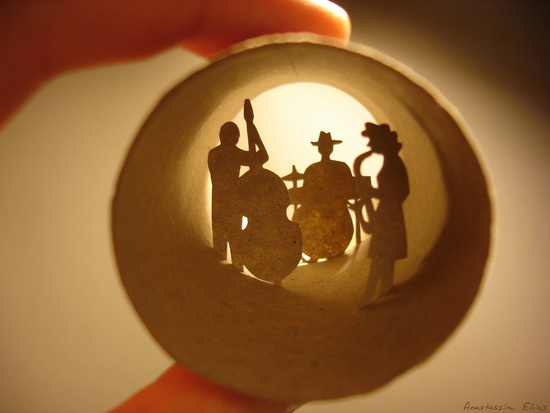 I came across these incredible paper tube sculptures by Anastassia Elias on Pinterest and thought they were too good not to share. 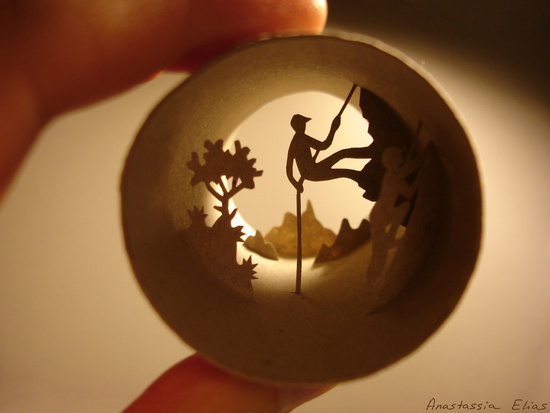 Tiny papercut figures create miniature worlds inside the tubes that really come alive when backlit. I think I could stare at them for hours! 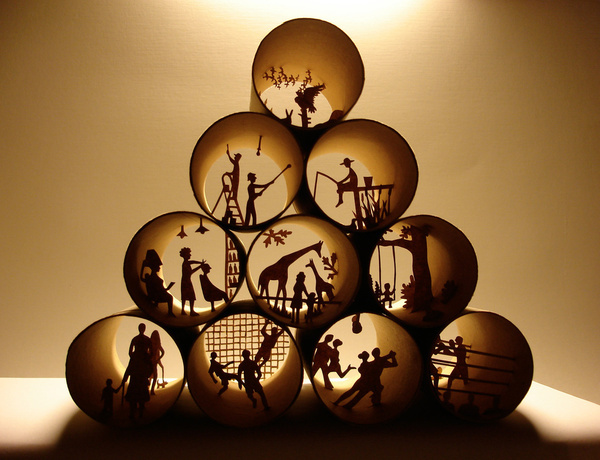 Check out Anastassia's portfolio for more paper tube sculptures and other paper art. She also has a Society 6 shop where you can purchase photographs of these pieces and prints of her other works. *All images via Anastassia Elias' website or Society 6 site.